The Praxis II Professional School Counselor Exam is intended to determine if those seeking to become school counselors have the relevant knowledge and skills required. It is based on the American School Counselor Association’s (ASCA) “National Model” and, as such, it includes the four categories in that model. The test’s questions dive into an individual’s understanding of research-based counseling practices and the ability to apply that knowledge to scenarios that occur in schools. Test takers analyze and reply to hypothetical scenarios in classrooms, revolving around individual students and/or school and community events for elementary school students through high school students. What Categories Make Up The Praxis II Professional School Counselor Exam? There are four components within the Praxis II Professional School Counselor Exam: the foundations component, the delivery of services component, the management component and the accountability component. The foundations component is centered around the history and role of a professional counselor, understanding of human development and ethical and legal principles as they apply to school counseling. The delivery of services component asks participants about interventions be they for individuals, groups, classrooms or entire schools, plus consultation and collaboration. The management component is focused on the best practice methods for building and sustaining a full-bodied guidance program. Finally, the accountability component is built around questions on program evaluation, research and assessment. 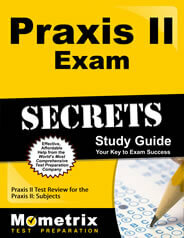 What Topics Are Covered In The Praxis II Professional School Counselor Exam’s Foundations Component? What Topics Are Covered In The Praxis II Professional School Counselor Exam’s Delivery Of Services Component? What Topics Are Covered In The Praxis II Professional School Counselor Exam’s Management Component? What Topics Are Covered In The Praxis II Professional School Counselor Exam’s Accountability Component? How Is The Professional School Counselor Exam Administered? Like all tests in the Praxis line, the Professional School Counselor Exam is administered on a computer. The tests are offered at test centers all over the world and interested parties can find the one most convenient one for them and schedule a best time when they register for the exam. Before the test, participants are asked to provide their identification and are given a chance to familiarize themselves with the computer interface of the test. The formats of the questions range from constructed response, multiple choice and numeric entry. How Can I Do Well On The Professional School Counselor Exam? Because of the range of topics covered and the variety of question formats, it’s recommended that those planning to take the Professional School Counselor Exam prepare extensively with an appropriate study guide and drill with flashcards. With the right tools, anyone can be prepared to do exceptionally well come exam time. 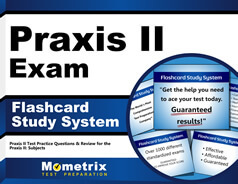 This free Praxis II school guidance counselor practice test can be used by itself or alongside our companion study guide.